The man I was to marry believed in me and what I could do, and consequently I found I could do more than I realized, even in that mysterious outer world that fascinated me but seemed unattainable. He opened the door to “real life” and although it frightened me, it also beckoned. I had to go. Anne’s husband was an aviator, known across the country as the man who flew the Spirit of St. Louis to Paris accompanied only by a bag of sandwiches. He taught her to fly. The pair would go up in tiny planes made of lightweight metal and covered only by cloth. She began her public life as an author by releasing short articles about these experiences. Like her airborne husband, she took to adventure. She and Charles navigated new routes across the country and the world. An exacting teacher, Charles taught her Morse code and how to read the map of the stars. She wrote about flying for an audience who hadn’t the faintest idea what it was like. 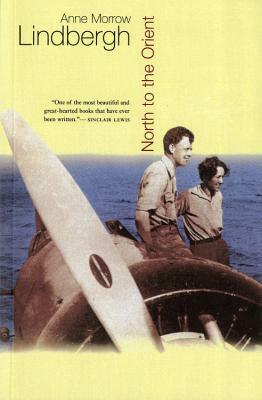 Her first book, North to the Orient, garnered terrific reviews and is still in print today. In the early 1930s, she became the first woman to obtain a glider pilot license. The effect on me of this injunction was smothering. The lid of caution was clapped down on all spontaneous expression. I was convinced I must protect him and myself from intrusion to our private life, but what a sacrifice to make never to speak or write deeply or honestly! I, to whom an experience wasn’t finished until it was written or shared in conversation. I, who had said in college that the most exciting thing in life was communication. Anne tried to honor her husband, to “clap down” the lid on spontaneous expression, to “never speak or write honestly.” Then, tragedy struck. 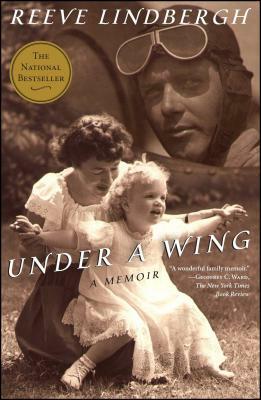 The Lindbergh’s first baby, Charles Junior, was kidnapped and killed. Every mother would be undone by such horror, and Anne was no different. She had to write about it. 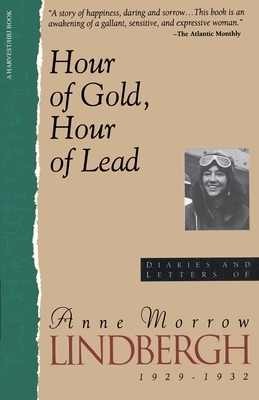 “The hand of grief released me from the hand of the censor,” she reflected in the introduction to Hour of Lead, the second part of the journal. “There were other values, I was beginning to learn, more important than discretion or even privacy. As I discovered the following spring, in the abyss of the tragedy, I needed to return to a deeper resource. I had to write honestly. So one can say that perhaps sorrow also played its part in setting me free.” Writing honestly provided Anne with the “deeper resource” she needed to pull herself from “the abyss of the tragedy.” And so she began, writing letters and journals, then essays and books. As a writer she was honest, eloquent, deeply reflective, always seeking to understand life as it unfolded before her, always wanting to share her understanding with others: her husband, her children, her family and friends, and ultimately her readers. [. 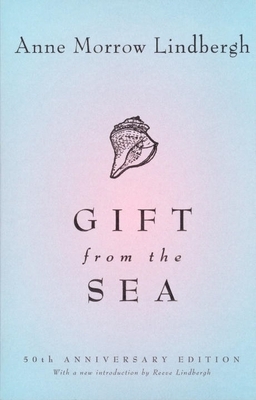 . .] She struggled with issues women and men have to face in every era: what to make of a complex, difficult marriage to a person one loves; how to reconcile the impulse toward creativity—and the need to work—with the practical demands of home and family. 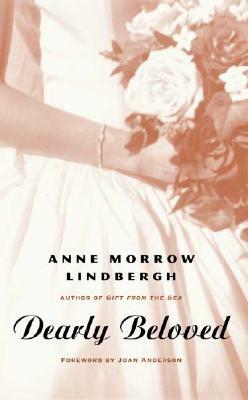 The insights of Anne Morrow Lindbergh about womanhood, writing, and life have enriched the lives of countless readers, yet they never would have been shared had she not had a terrible loss. She wrote later: “I do not believe that sheer suffering teaches. If suffering alone taught, all the world would be wise, since everyone suffers. To suffering must be added mourning, understanding, patience, love, openness, and the willingness to remain vulnerable. All these and other factors combined, if the circumstances are right, can teach, and can lead to rebirth.” A poem she wrote following the loss of Charles Jr. illustrates such principles in action. Called “Second Sowing,” the poet poses a devastating question: “For whom / The milk ungiving in the breast / When the child is gone?” The final stanza answers, “The seed of love must be / Eternally / Resown.” As a mother, Anne Morrow Lindbergh suffered and in her suffering, she realized a great truth of her life: writing honestly provides a way to resow the seeds of loss, a means to have faith in an eventual harvest. Kelly Blewett is a graduate student in English. Her writing has appeared in BookPage and Cincinnati Parent. She lives with her two children, her husband, and a small white dog in Cincinnati, Ohio. Thank you for this wise, informative portrait.